Draw a circle in the upper part of the sheet and an oval beneath. 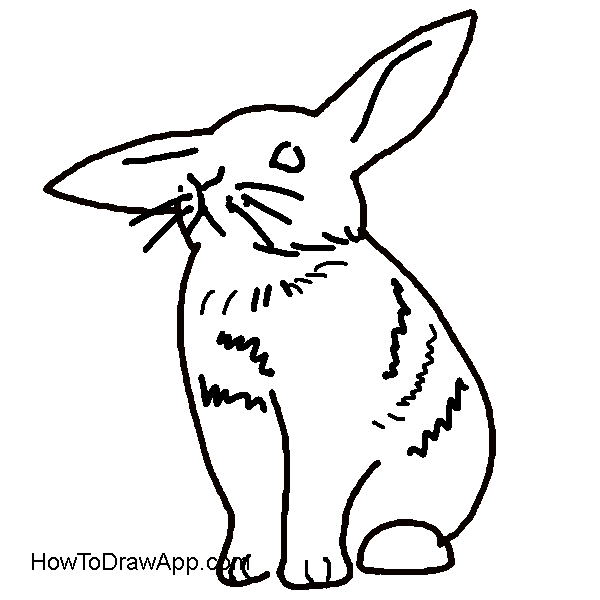 Schedule lines of front legs and a small circle for the hind leg. Schedule two long sharp ears. 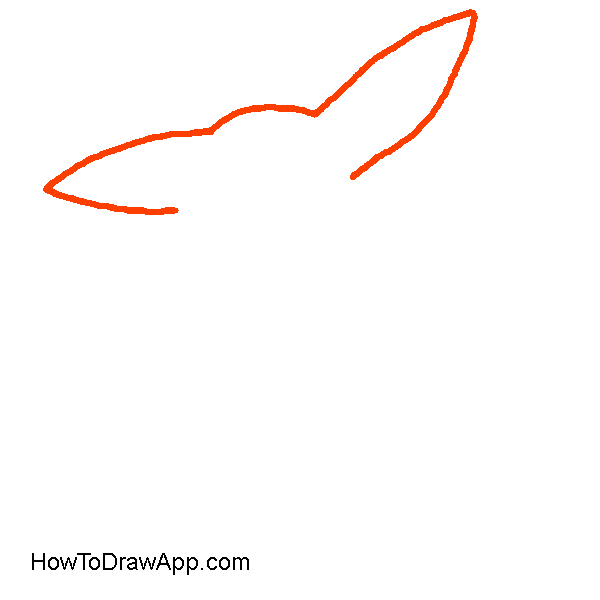 Outline two long ears and top of the head. 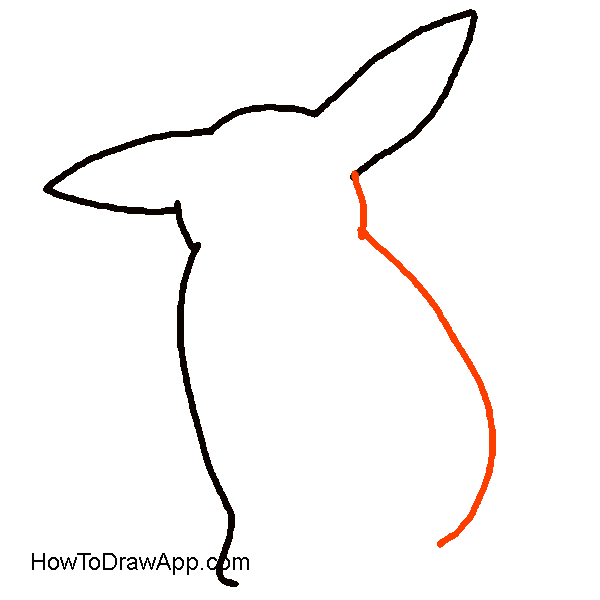 Draw the vertical line of the chest. 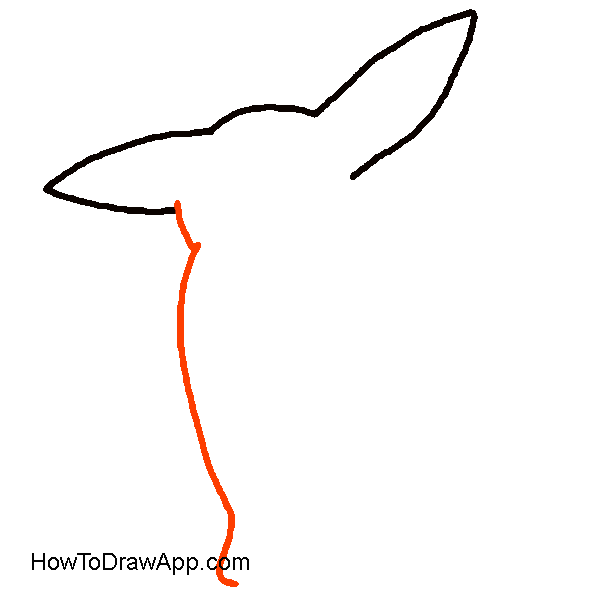 Draw a small curved line of the head, and another long bow-shaped line for the back. 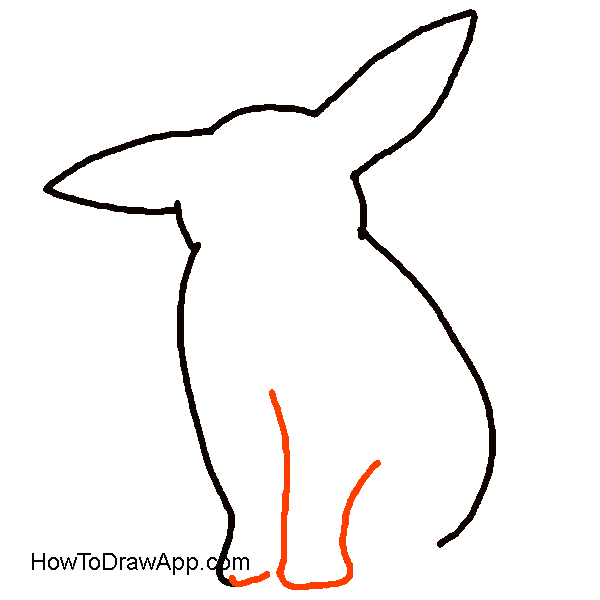 Outline two front legs and paws. 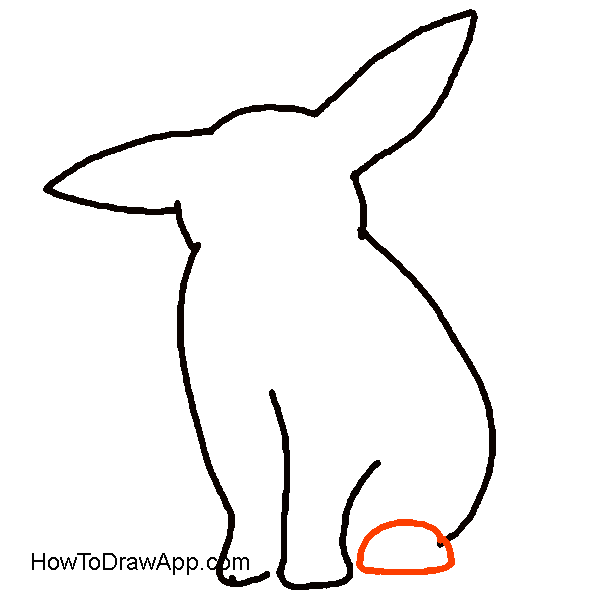 Draw a half-circle at the bottom to mark the hind leg. 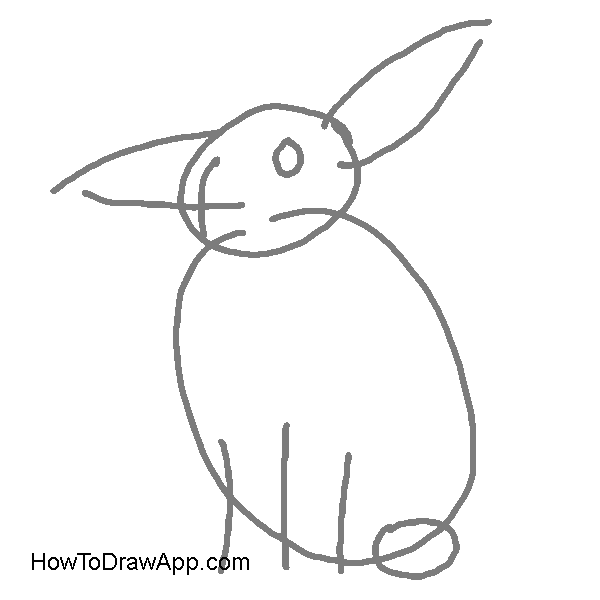 Draw an eye and a snout of the rabbit. Put some dots at sides. 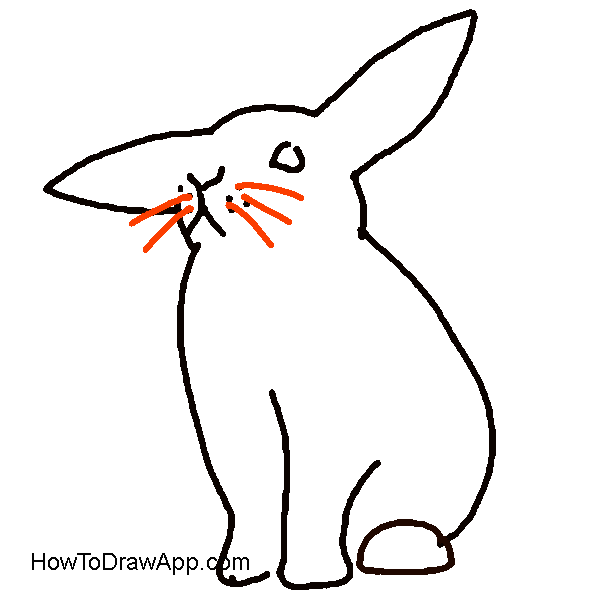 Draw whiskers on both sides. 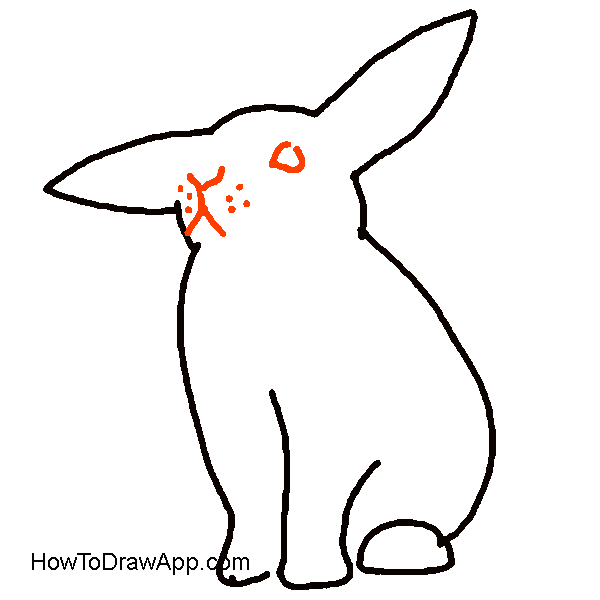 Draw toothed lines across the rabbit’s body to show fur. 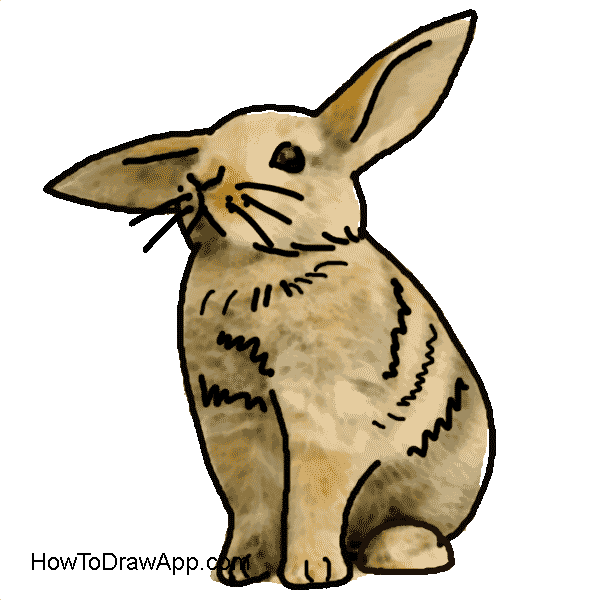 The rabbit is ready. You can color it. 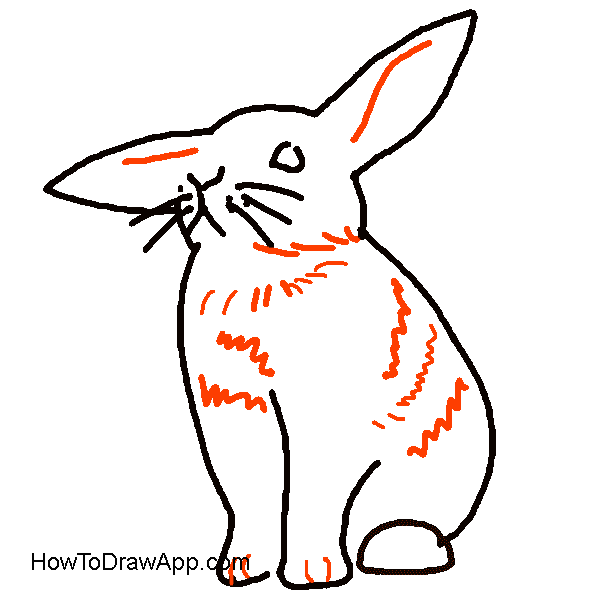 Color the rabbit in a bunch of colors such as white, black, beige, orange.